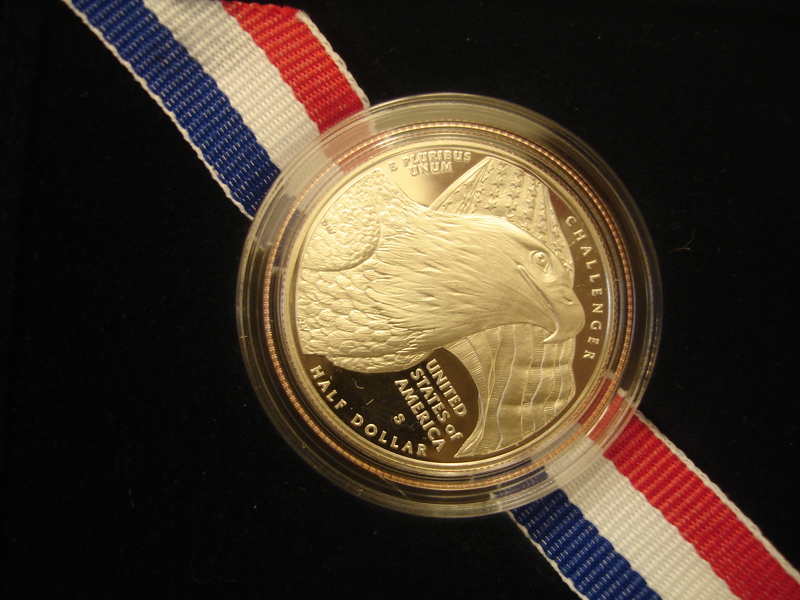 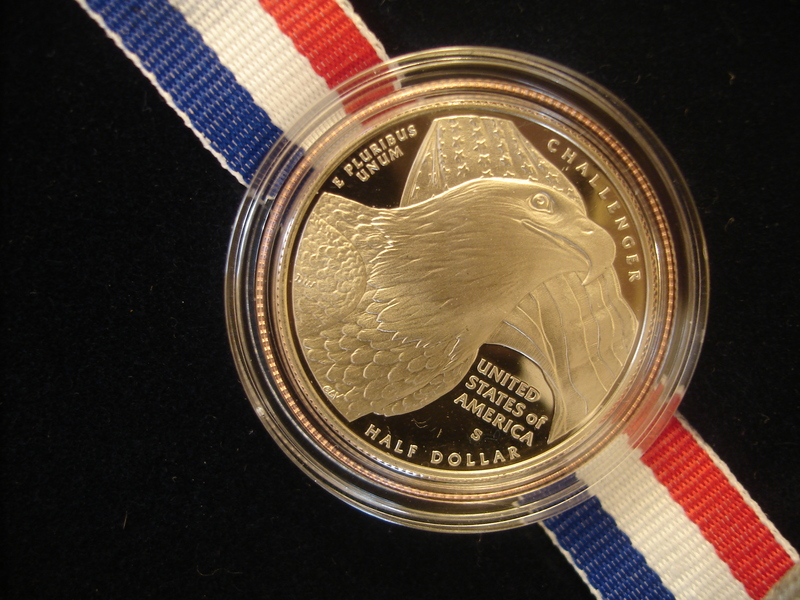 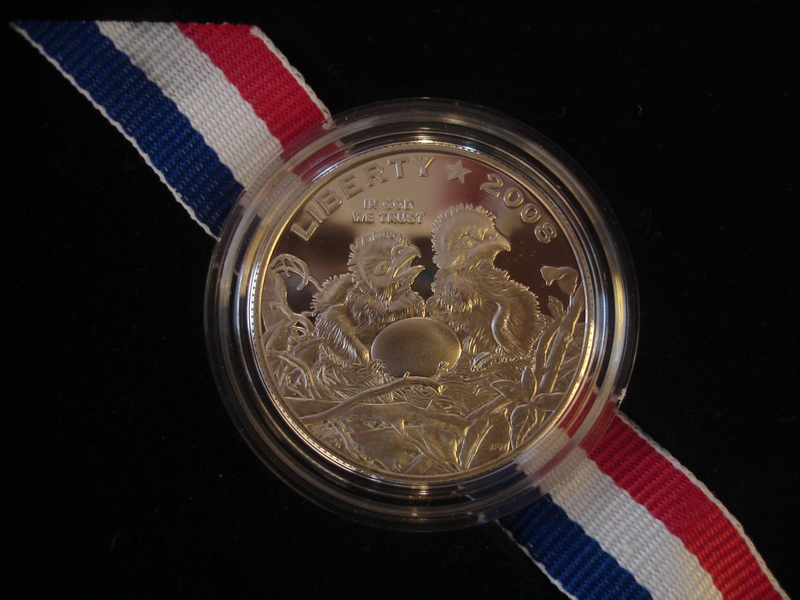 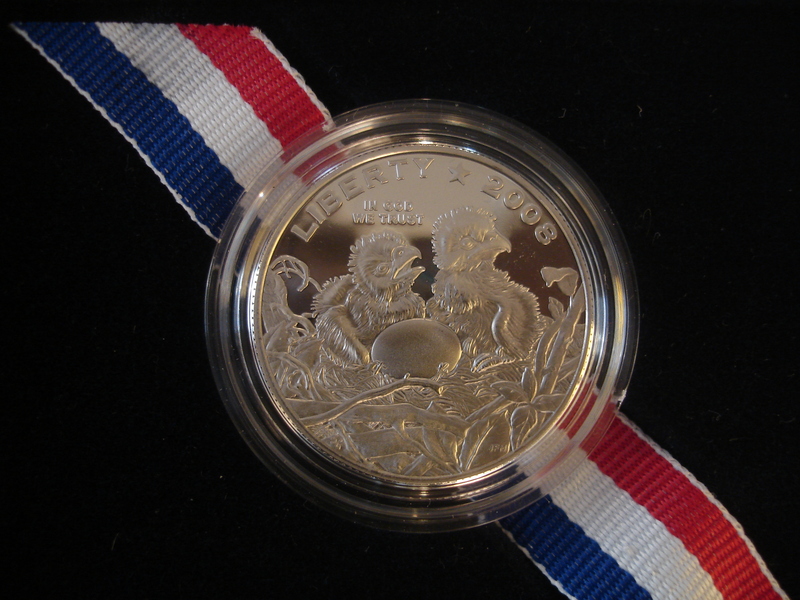 In 2008 the US Mint created one of the great commemorative coins it has ever produced. 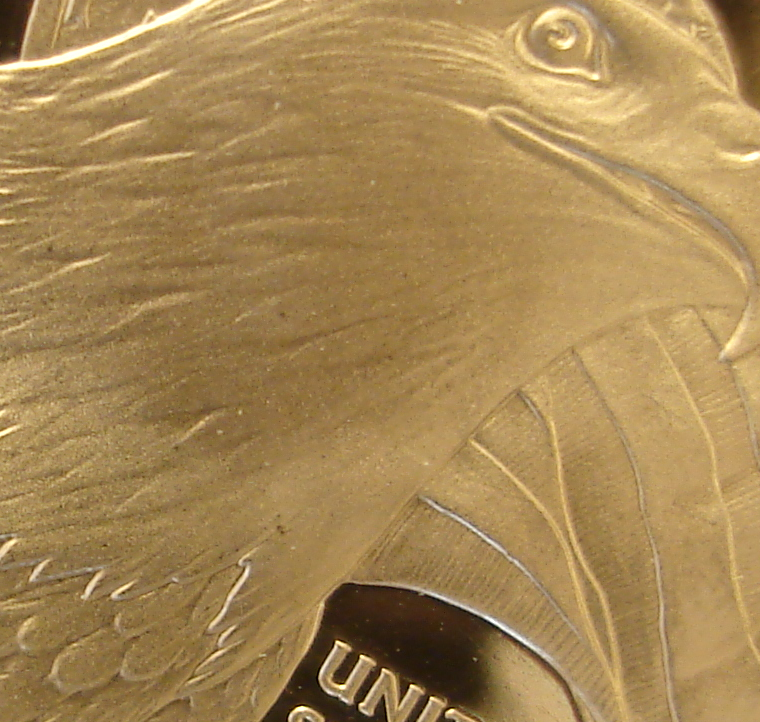 In fact, artisitically speaking, the American Bald Eagle Commemorative might well be artistically and in execution the greatest work of the mint in its 200+ years of existence. 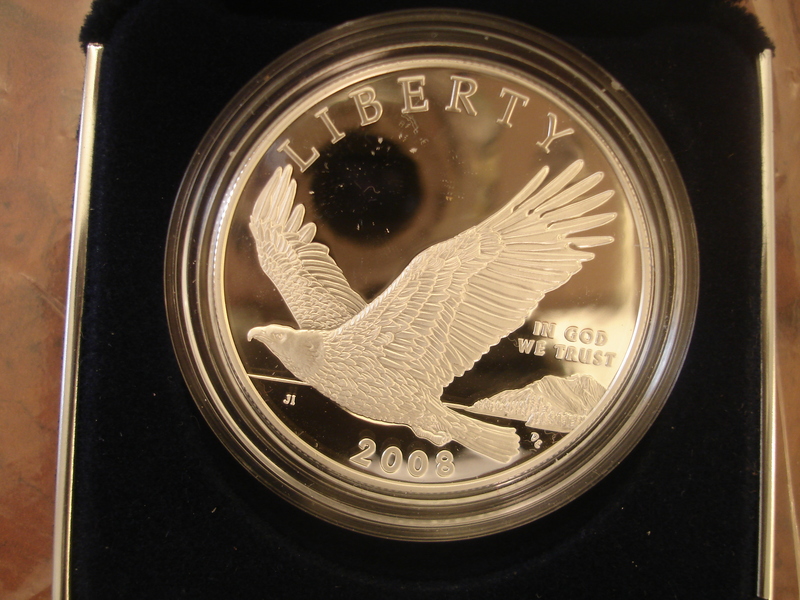 This Eagle near jumps off the page with detail unlike any coins produced by the Mint until now, Looking closely to the feather design, gentle sweeping lines brush over the Eagle's neck and head, with light almost brush like lines and shading. 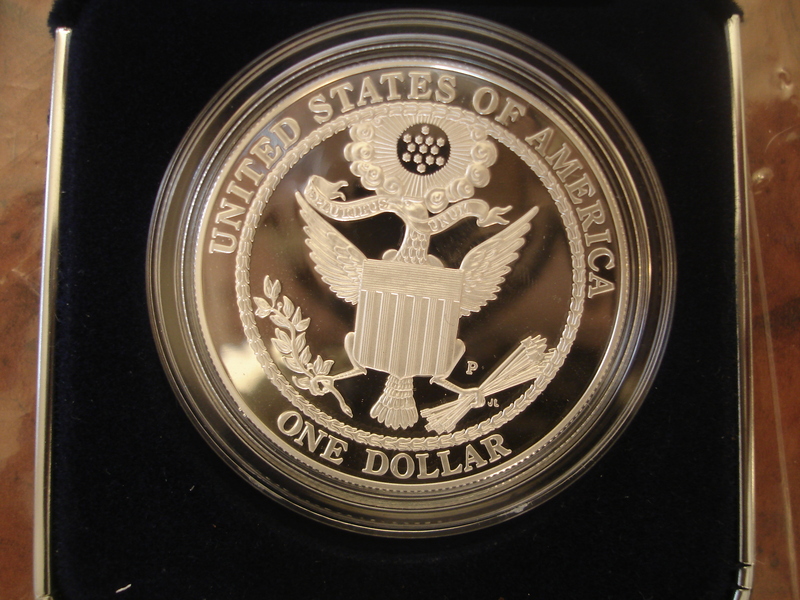 The Reverse is even more astounishing, a break through design that peirces through the visual vocabulary of coinage as low relief design, pushing into a new realism, nearly holographic in its imagary. The young chicks could not have been better represented in a Nation Geographic print, these hungry chicks are in complete movement, with hear unknown complexity of engraving in the nesting material which craddles the birds and an egg, as well as the softest of down feathers. 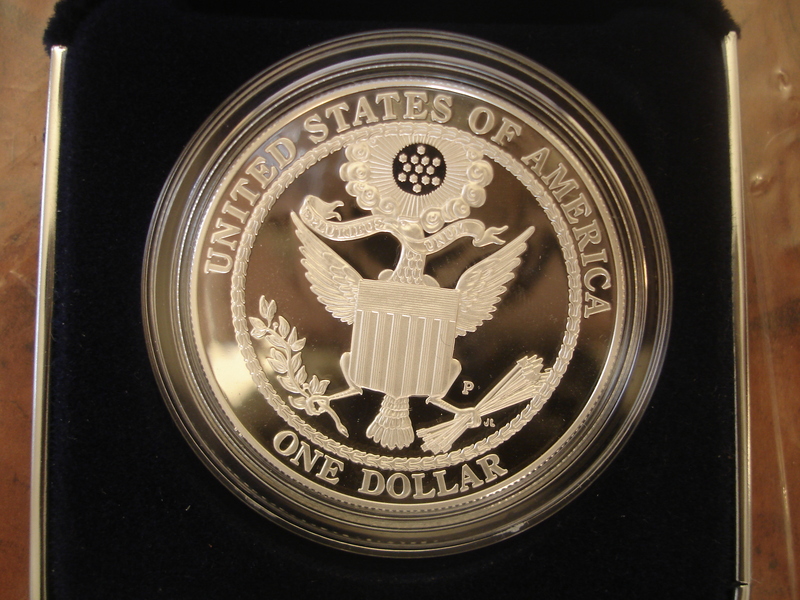 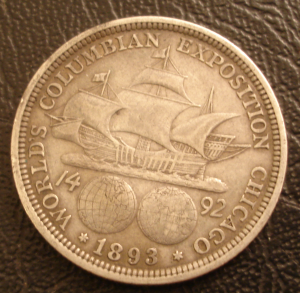 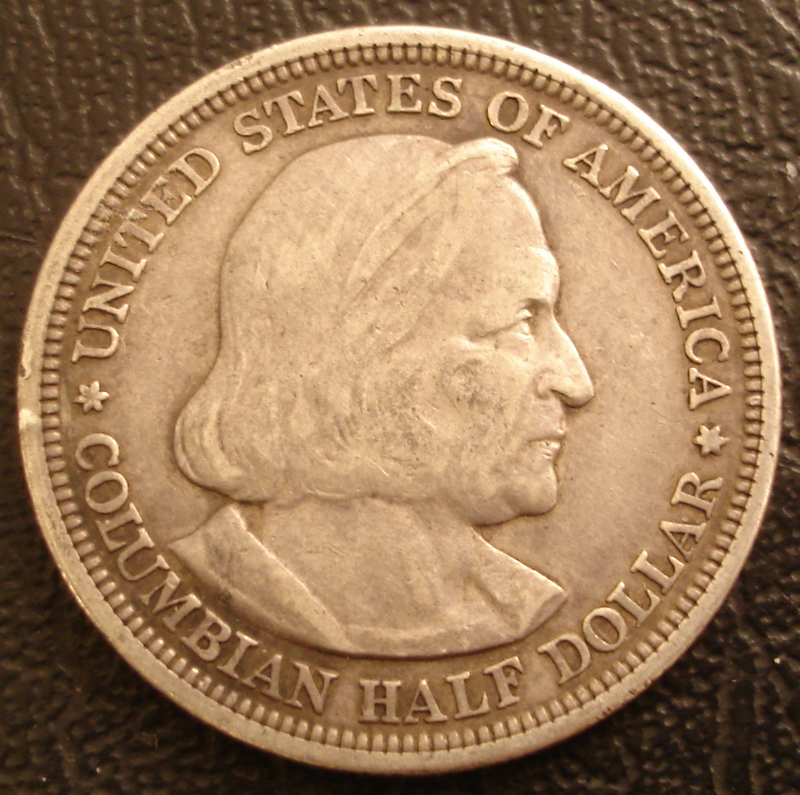 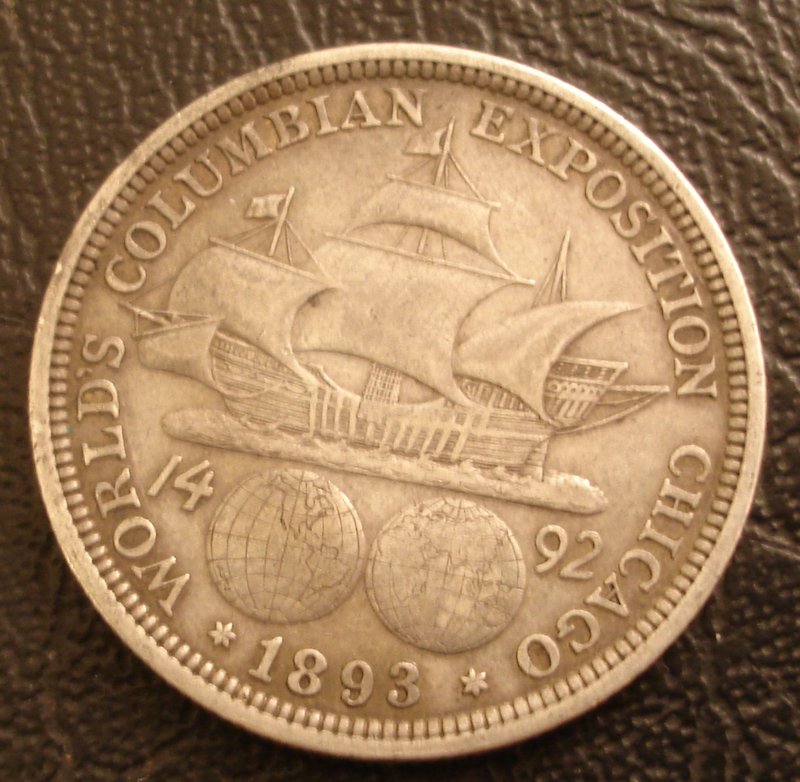 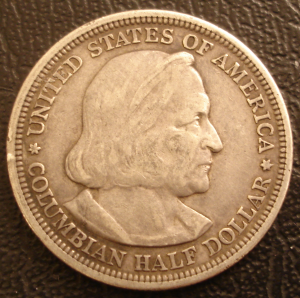 The Silver Dollar is similar to the reverse of the Sac Golden dollar, but with subtle details and background. 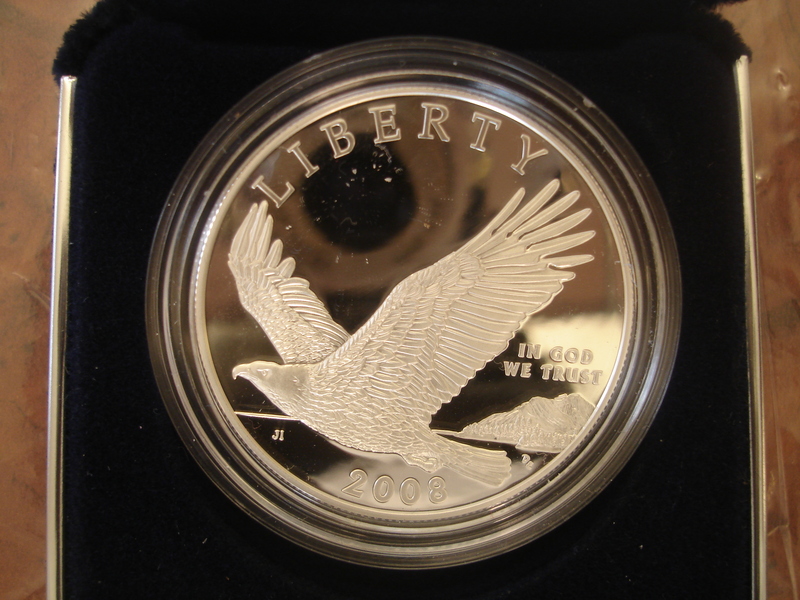 More poised in the design and sacrificing some of it's realism, the soaring wings wrap around the coin in a graceful play on roundness of the coin. 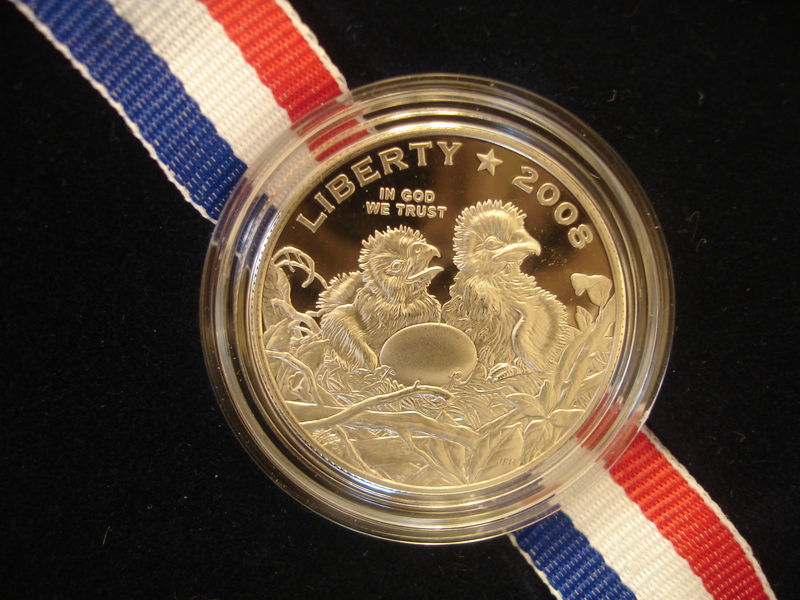 2008 Reverse Silver Bald Eagle This Reverse tips its hat to late 18th Century designs, some of the earliest US Coins.